Health Ranger Select Organic Baobab Fruit Snacks combine exotic flavor with amazing nutrition. The fruit of the baobab tree boasts more vitamin C than oranges, more calcium than milk, and loads of bioavailable antioxidants to help curb oxidative stress in your body. It's the perfect superfruit snack. To create enhanced flavors and texture, we've added organic rice bran, and pure, high-quality, China-free non-GMO Vitamin C to the mix to create the ultimate healthy superfruit snack. Our formula is lab-verified and uses only organic ingredients from sources we trust. It's also completely packaged in the U.S.A. using China-free, non-GMO ingredients, so you can be completely confident in your snacking choice! Enjoy the healthiest and most delicious fruity snack on the market, whether you need an afternoon pick-me-up, a post-workout snack, or a kid-friendly after-school treat. Ingredients: Organic Fruit Blend (Apple, Orange), Organic Baobab Fruit Pulp Powder, Organic Sunflower Oil, Pectin, Organic Rice Bran, Natural Flavor, Vitamin C Ascorbate. 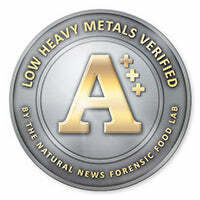 This means the product has been tested via ICP-MS and confirmed to meet the limits for an A+++ rating as described at LowHeavyMetalsVerified.org.